Of course we’ve been fighting against stereotypes from Day One at East West. That’s the reason we formed: to combat that, and to show we are capable of more than just fulfilling the stereotypes – waiter, laundryman, gardener, martial artist, villain. No matter what happens, we couldn’t let people say Asian-American actors can’t act. I was a very happy child, so to speak. But, since we didn’t have video games or television, and very little radio, in terms of a form of entertainment, I used to read a lot and I would draw a lot, and those two things used to occupy my time. I go into a young film director’s office these days and he says, ‘Hey man, I know who you are. I grew up watching ‘McHale’s Navy’. And I think, ‘Oh boy, here we go again’. I came to America to become an architect. And somewhere along the line while I was still in school, I was lured into theater, and that’s how I became interested in theater. My first play was something called “A Banquet for the Moon.” It was a weird play. 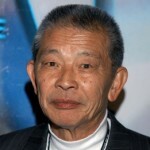 Mako Iwamatsu was a Japanese-born American actor and voice artist who has been nominated for numerous awards. Many of his acting roles credited him simply as Mako where he omits his surname. He is known for his acting role as Po-Han in The Sand Pebbles for which he was nominated for the Academy Award for Best Supporting Actor.